If you smile with your mouth closed because of chipped or missing teeth, a dental crown or bridge can bring back your smile and your confidence. 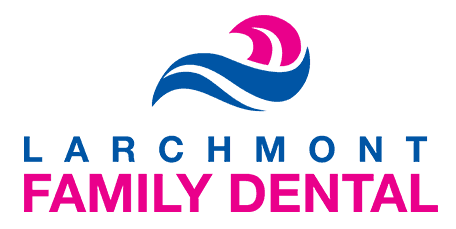 At Larchmont Family Dental, experienced restorative dentist Dr. Avi Malkis offers long-lasting porcelain crowns and bridges that look completely natural for patients in the Westchester County of New York, including Larchmont, Mamaroneck, Harrison, and New Rochelle, New York. To learn more, call the Larchmont, New York office, or book an appointment online. Crowns and bridges are two types of full coverage dental restoration methods that help repair your teeth and bring back their natural appearance. They’re not purely cosmetic, crowns and bridges also strengthen and support your teeth, which allows you to chew and speak properly. A crown is a “single cap or covering” that fits firmly over your tooth. A bridge, on the other hand, is an option to fill in the space created by missing teeth. Bridges use the teeth adjacent to the gaps as a support to add additional crowns to replace the missing teeth. Before you get a crown, Dr. Malkis examines your tooth to make sure that it’s a good fit for a crown and is robust enough to support one. Then, before the procedure, you’ll receive a local anesthetic in the tissue around the tooth so that you won’t feel any pain. Once you’re numb, Dr. Malkis prepares the tooth on all sides to make room for the crown. Then, he makes impressions of your tooth using putty. Doing so allows Dr. Malkis to make a precise crown so that, when he cements it in place, it feels and acts just like your old tooth. The process of getting a bridge is very similar, except that Dr. Malkis prepares multiple teeth for crowns, takes an impression of the teeth as well as the area where you’re missing teeth, and then places the bridge. Do crowns and bridges look natural? Yes. Dr. Malkis uses crowns and bridges made of porcelain, which most closely mimics natural tooth enamel. He carefully matches the shade to your other teeth so that it blends in completely. If you have a certain look in mind or concerns about the shade of your crown or bridge, you can discuss this with Dr. Malkis beforehand. Crowns and bridges usually last about five to 15 years and sometimes even longer. How long your crowns or bridges last depends on how much wear and tear it gets, your oral hygiene practices, and certain habits like grinding or clenching. If you want to restore your teeth, porcelain crowns and bridges can give you that natural looking smile you’re looking for. To get started, call the office today or book an appointment online.